This entry was posted in Christian Living, Good Theology. Bookmark the permalink. ← How Many Meanings Can a Biblical Text Have? I do like what you have said here. 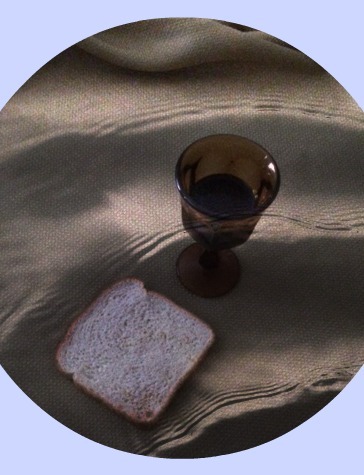 I agree that we often take the Lord’s Supper too lightly. I do want to suggest that though a disposable set of grape juice and wafer may smack of making light of the holy remembrance it ought to be, i was once in a stadium of thousands who had gathered for a day of prayer and fasting for our nation (the US) For many in the stadium it was the culmination of a 40 day fast of some sort or another. The day was moving and filled with wonderful worship, solemn prayer, and communion. one way to effectively and efficiently serve communion to > 8000 people was to use these often scorned little kits. I do hear your heart in this article – but let’s not despise the good efforts of others to serve the body, lest we find out selves burning the bones of the ones trying to make faith accessible to the masses once again. Thanks for listening, and I hope you hear my heart. Thanks so much, Ben, for your thoughtful, respectful reply. We don’t disagree. The disposable cup was employed illustatively as a caution against acquiescing this precious ordinance to our “throw away” culture in general. We ought not always be in a hurry to “get ‘er done.” The Lord’s Supper should be deliberate and sober even if it is not super efficient.